"I think I have a stalker," the message reads. "If you're reading this I'm either missing or dead. My life may depend on what you do. Please find out what happened to me." Haunted by her friend's disappearance and possible death, Rory begins her search with the help of best friend and fellow painter, Liz Dexter. Can they discover who has designs on the missing woman and uncover the truth before one of them becomes the stalker's next victim? 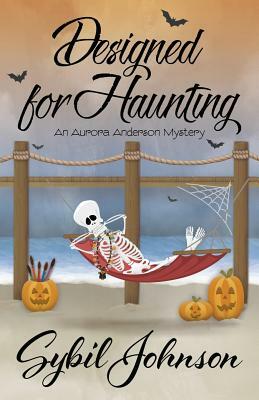 DESIGNED FOR HAUNTING by Sybil Johnson A Henery Press Mystery. If you love one, you'll probably love them all.